Who says you can't buy quality 1" x 10" Douglas Fir Trim? Not us. This CVG product is a jaw-dropper commonly used in window sills, baseboard and large door casings. Minimum order 32LF. 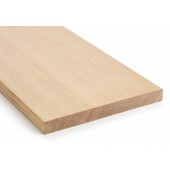 Who says you can't buy quality 1" x 12" Douglas Fir Trim? Not us. This CVG product is a jaw-dropper commonly used in window sills, baseboard and large door casings.